What Is The Details Of Our Tape Hair Extensions? How To Wear Tape In Hair Extensions? 1. 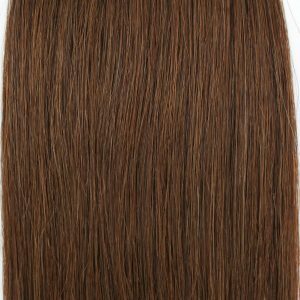 Hair must be applied to bewashed unconditioned hair.Part your hair in desired area where extension needs to be applied. 2. Remove the white cover on the tape extension to expose the super tape. 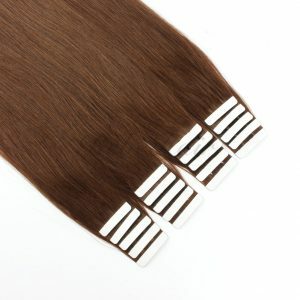 Line up the scalp and attach by pressing to piece of desired hair. 3. You double the thickness by adding another layer to the underneath of the piece. 5. Press it in place with your fingertips to secure. Apply pressure with fingers for 5-10s to secure hold. 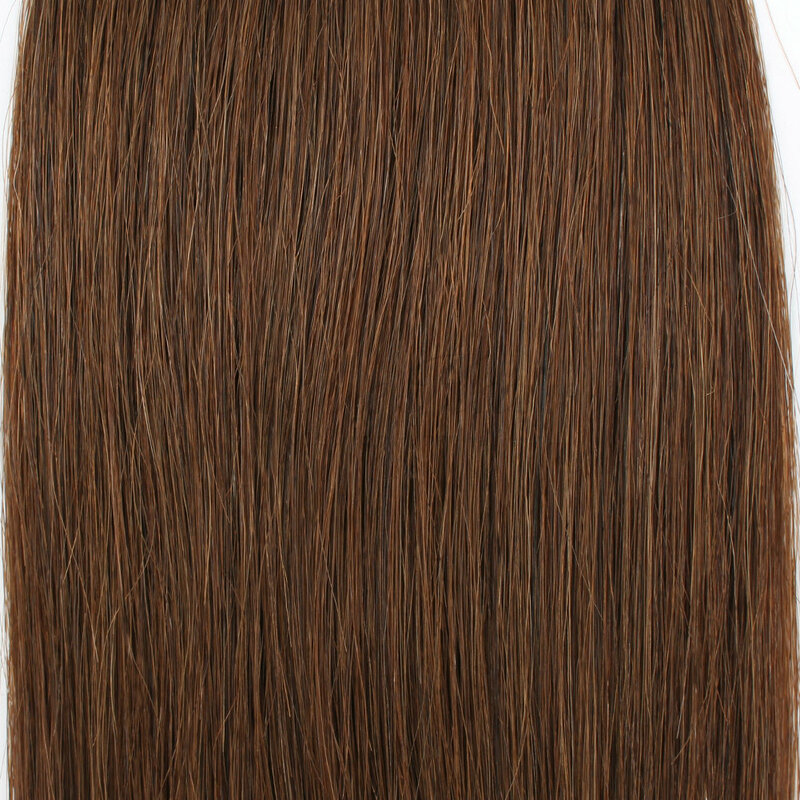 6.Once hair is in, use your flat iron on a low heat setting. You are finished! 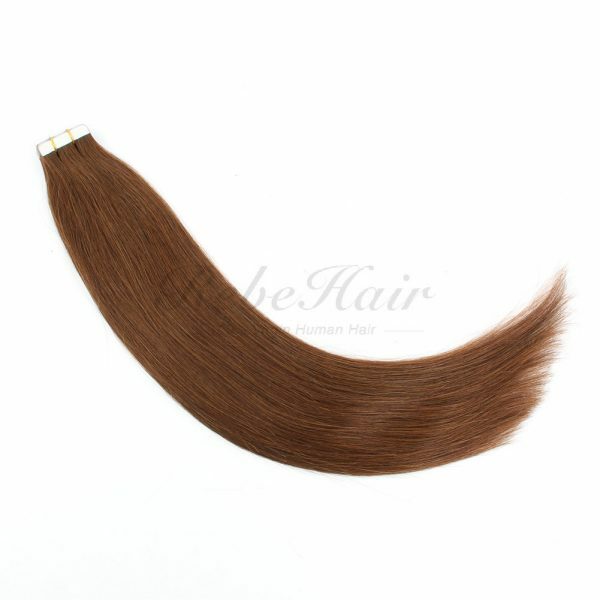 You hair is now thick and seamless! 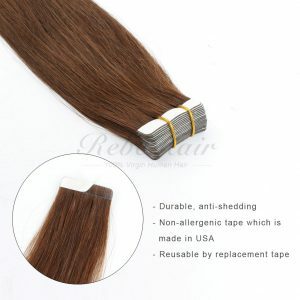 How To Remove Tape Residue From My Hair? 2.Warm the oil on your hair, by heating it with your hairdryer. 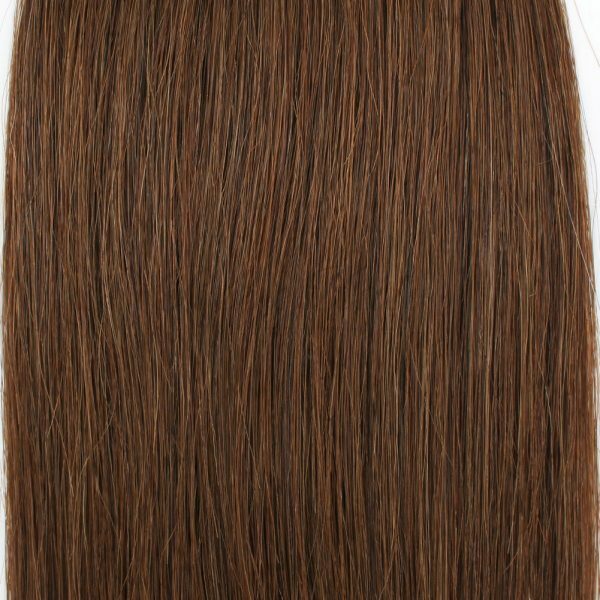 Hold the hairdryer 12inches away from your hair for 30seconds to heat the oil. Allow the oil to remain on your hair for a few minutes. 3. Comb out tape residue with a fine-toothed comb. 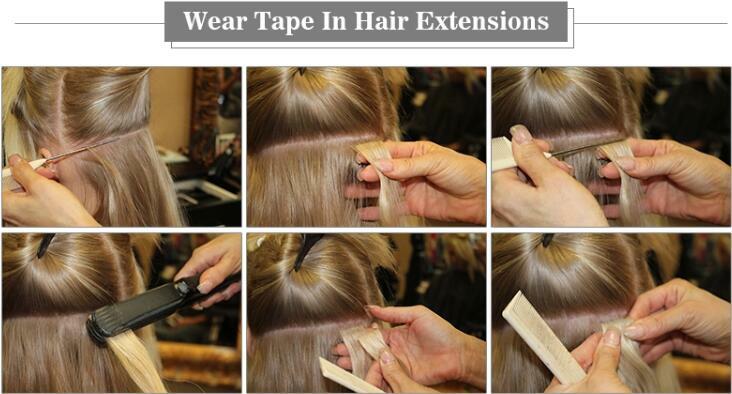 Comb through your hair with a fine-toothed comb to remove the tape residue. Wipe the remaining olive oil off your hair with a washcloth, so you can see how much tape residue is left. Repeat Steps 2 and 3 until the adhesive is completely removed. 4. Shampoo your hair to remove the olive oil and the last of the tape residue. Q1 . Can they be straightened, curled? A1 : Yes, you could use hair straightener or hair curler to style the virgin hair . 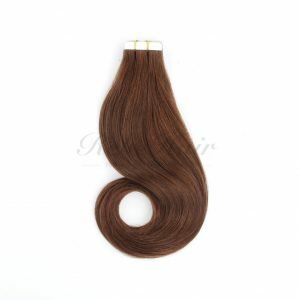 However, don’t do it too frequently, or the heat will make the hair easily get dry and tangled. Q2. 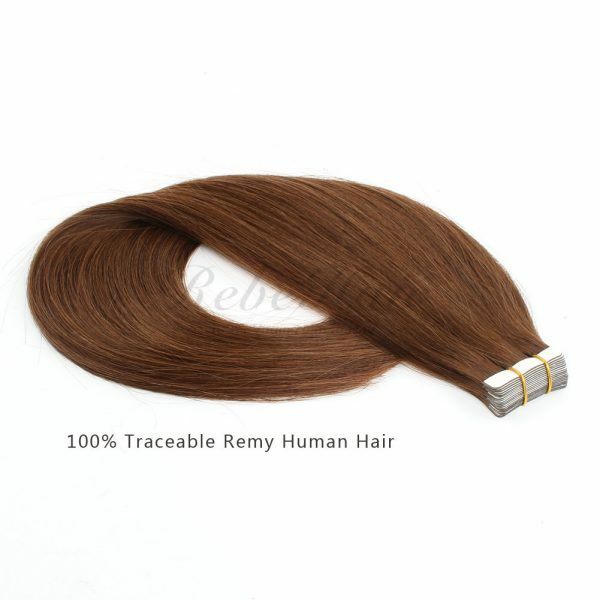 Why the colors of hair extensions don’t seems exactly as the pictures show or description says? A2 : Different monitor have different displays. The same color number may have a little color difference. 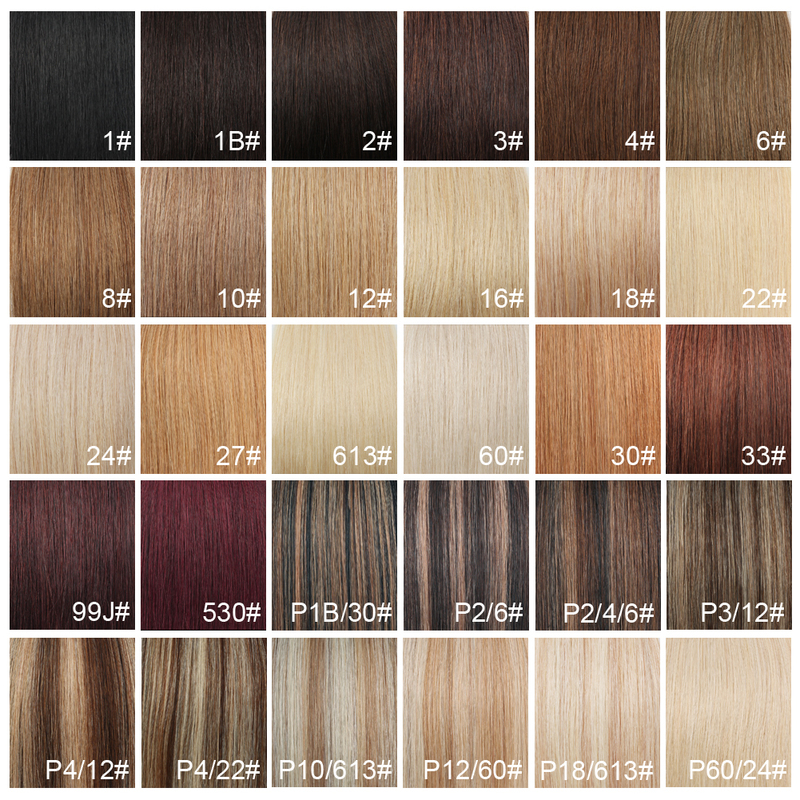 You could dye the hair if you need different color. Q3. 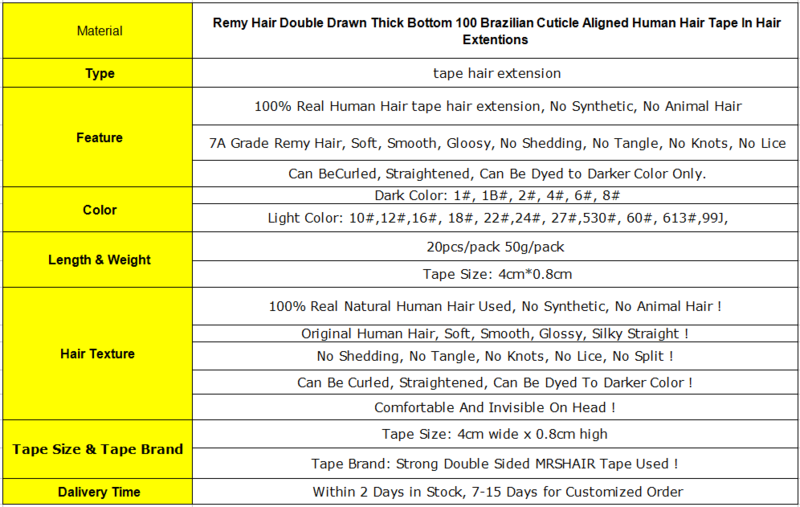 How to care your hair extension? A3：1. Wash the hair in one week. 2. Water to wet hair,use a mild Shampoo, Rinse and leave to dry. 3. Comb with a wide brush after dry. 4. You can perming dyeing, but please remember do not do this too frequent,and remember to use the nutrition water. 5. The combs you’d better choose the round with wide-toothed comb. 6. Don’t make the hair under the blazing sun for quite a long time. 7. Don’t blow the root of hairs too near with the hair drier. 1) Brush hair end first, then the middle, and the top at last. DO NOT brush directly from the top and pull hard, it will break the hair hard. 2) Regular care will keep the hair in good condition and avoid tangle problem. 3) Improper dyeing or other chemical process will damage the hair and caused tangle and shedding problem.